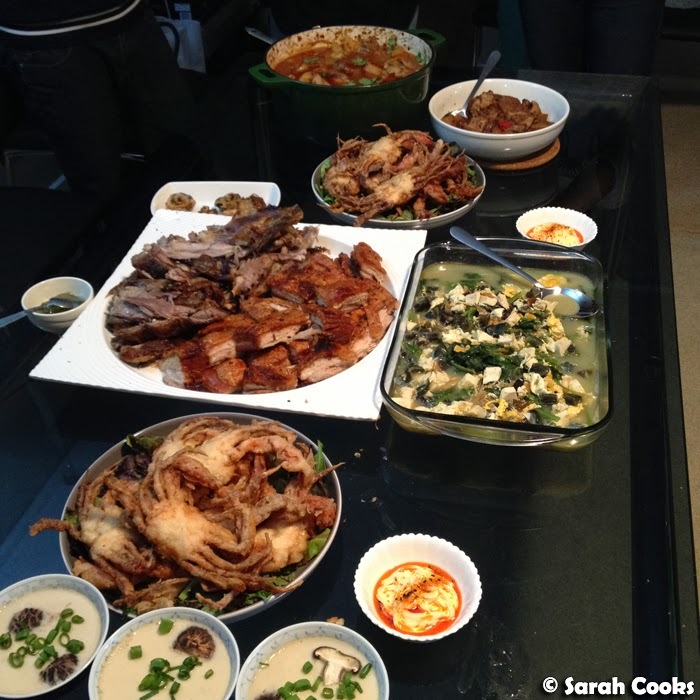 Even though we had Reunion Dinner with the extended family at the end of January, my parents cooked an awesome Chinese New Year dinner the week after, with all my Nyonya favourites! 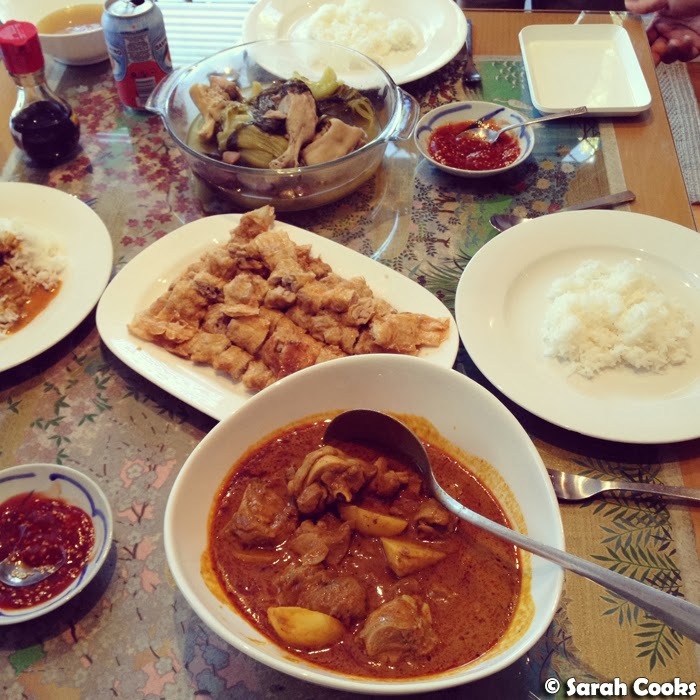 Kiam chye th'hng (salted vegetable and duck soup), loh bak (deep fried pork wrapped in bean curd), and chicken curry. Yum! Sandra and I spent the Most Fabulous Weekend in the Gold Coast, staying at Palazzo Versace. Such luxury! Blogpost to come. 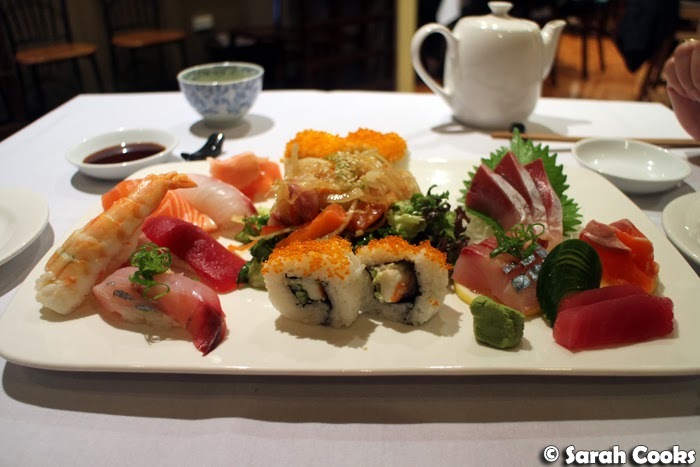 One night, my parents and I went to Shira Nui (247 Springvale Rd, Glen Waverley VIC 3150) for dinner one night. Amazing sushi. Amazing! One day for lunch, I tried a new Korean restaurant: Anju (18 Little LaTrobe Street, Melbourne Vic 3000), on the suggestion of my friend Duncan. 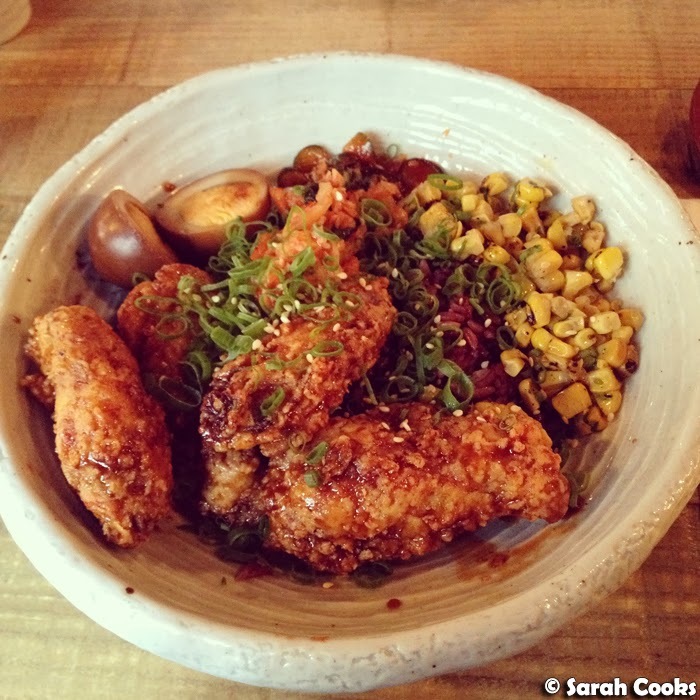 I totally loved the dish I ordered - fried chicken wings on black rice with roast corn, cucumber kim chi and soy eggs. Delicious! 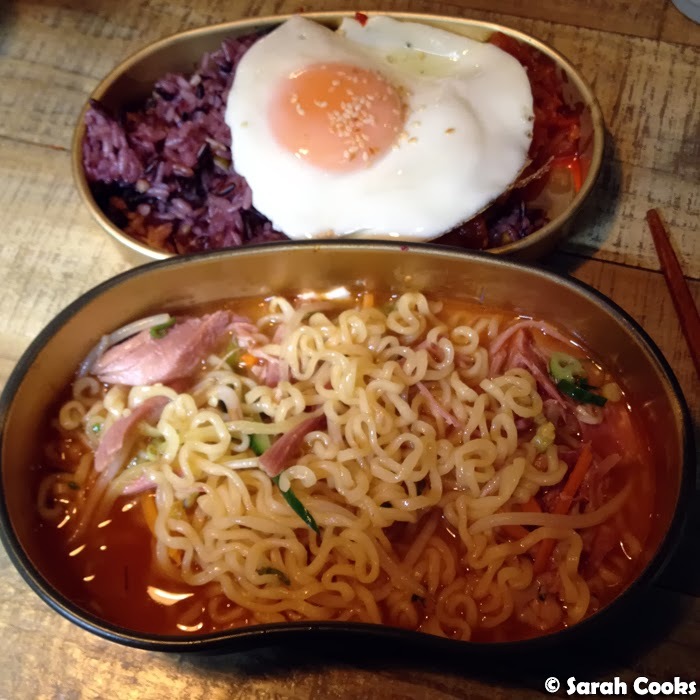 I liked it so much that I went back the next week, and tried their Anju Ramyun (instant noodles in a ham broth, with black rice, kim chi and a fried egg, served in a lunch box). I didn't like this one quite as much as the chicken (the rice was severely undercooked), but the soup and noodles were good, and I still want to go back again! 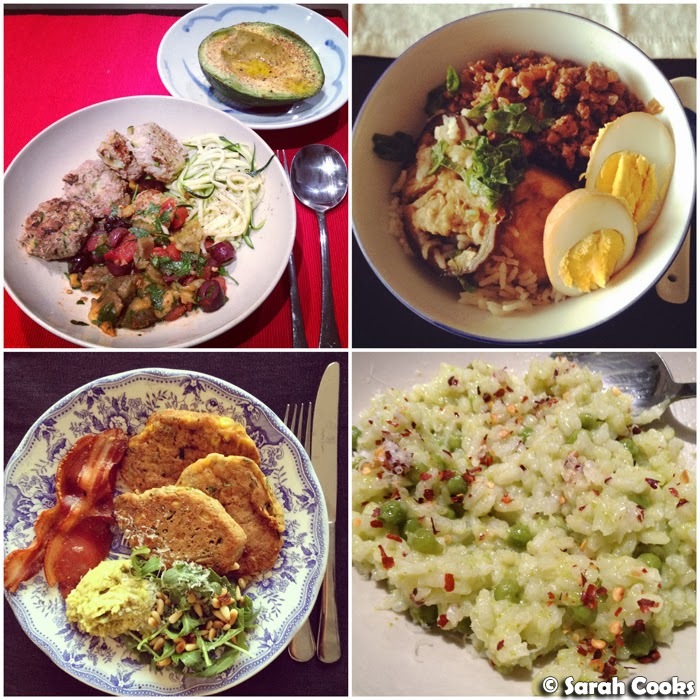 Let's have a look at some of the different breakfasts I've made. 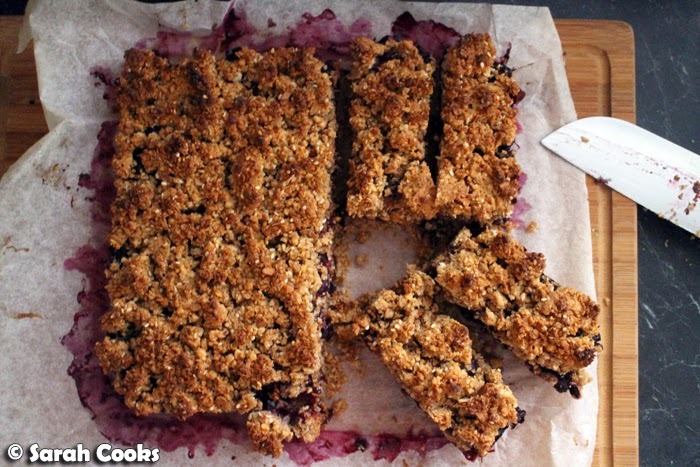 First up, the blueberry breakfast bars from Whole-Grain Mornings. I loved the combo of rolled oats, rye flakes, wholemeal flour, almonds and sesame seeds in the dough. Gorgeous! 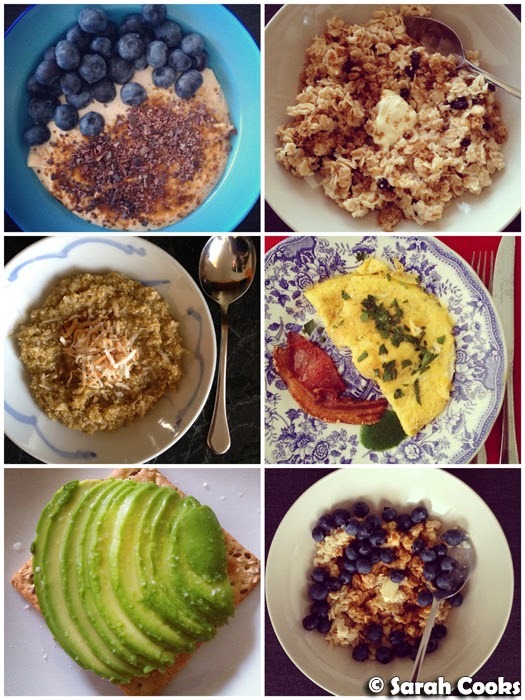 Some other breakfasts! I've totally been loving Megan Gordon's "Very Best Oatmeal", and have been eating versions of that most mornings - so nourishing. 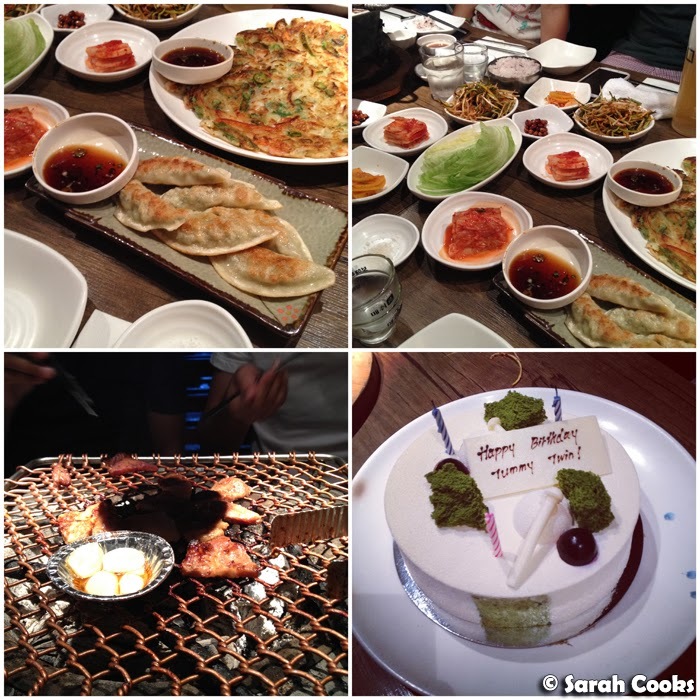 We enjoyed a delicious dinner at Hwaro Korean BBQ (562 Little Bourke Street, Melbourne 3000) to celebrate the lovely Daisy and the awesome Adrian's birthdays. So much meat! I also loved their seafood pancake. Speaking of birthdays, Wince very kindly had us over for an amazing birthday dinner. He said it was just going to be "something simple", but it turned out to be Devil's curry, soft shell crab, crispy roast pork (omg! ), slow roasted lamb brisket, triple-egg spinach and chawan mushi. WOW! Thank-you so much Wince for an amazing dinner and a super-fun evening! And plans for March... just the usual. Plus a little trip to Malaysia! Hooray! Ooh, Anju looks like a tasty place to visit! And yay for your upcoming trip to Malaysia! Can't wait till I get back there later this year. 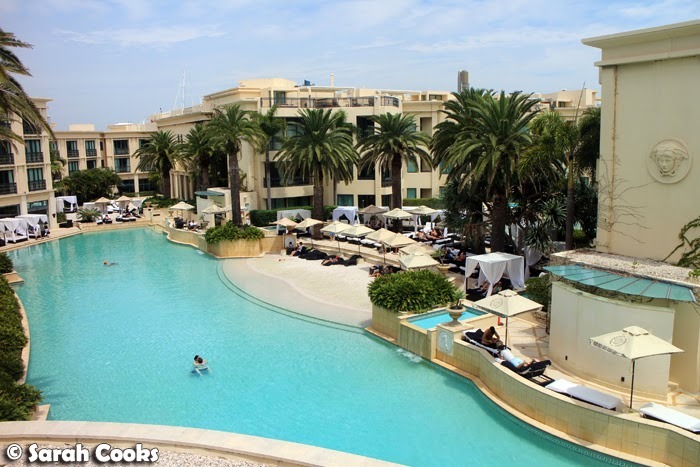 Can't wait to hear about Palazzo Versace - how decadent! 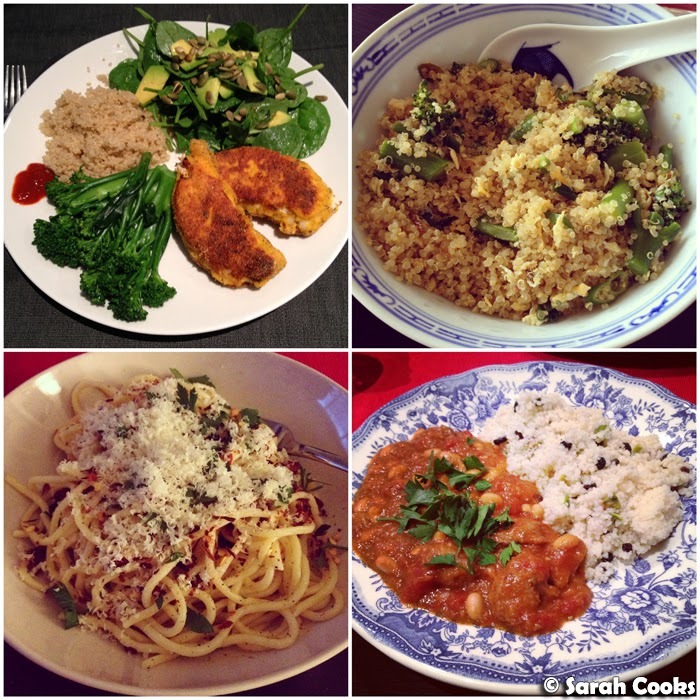 What a great month of eating! Love the look of that soft shell crab in the last photo.